Thank you for considering becoming a coach for Junction City Athletics. Deciding to become a coach is a huge decision and one to not take lightly. 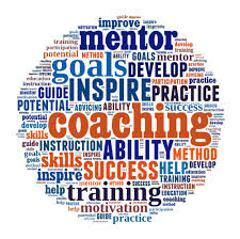 However when you do decide that coaching is right for you it is very rewarding and a worthwhile cause. Here is some information about what is required to become a coach for Junction City Athletics. At a minimum all coaches must fill out a coaches application and submit for a criminal background check and complete the Coaches Concussion Training once a year. Also, depending on the sport there may be some adjunct training that we would like our coaches to complete. All required training and the criminal background check must be complete prior to the start of games. All coaches including team assistants must complete the training. Below are some links for you to complete the required background check and training. The cost of any training and the background check are paid for by JCA at this time. Want to Coach or be a game official? As stated above all coaches and Game officials who have contact with the kids must complete a criminal background check and complete the concussion awareness course at a minimum. At times depending on the sport a coach may also need to complete additional courses. There are no charges to a coach for the required back ground and concussion course. Please click on the links to the right to complete the required back ground check and concussion course. 1. After you submit your coaches application you will receive an email that will give you detailed instruction on how to complete your concussion training.